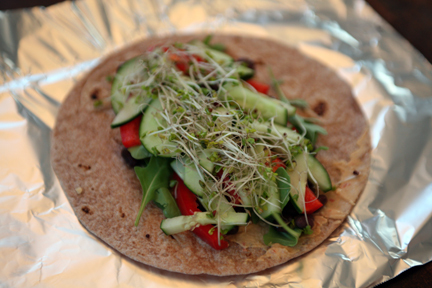 Once I finally got up the nerve to get back out of bed I put together a quick breakfast. 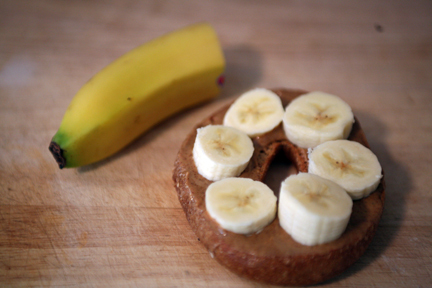 1/2 a whole wheat bagel with 1 tbsp almond butter and 1/2 a banana on top. I ate the rest of the banana on the side. 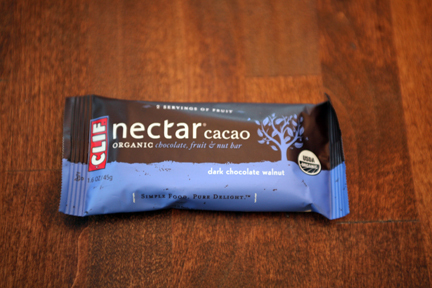 And I packed a new flavor (for me) of Clif Nectar...dark chocolate walnut, for an afternoon pre-run snack.